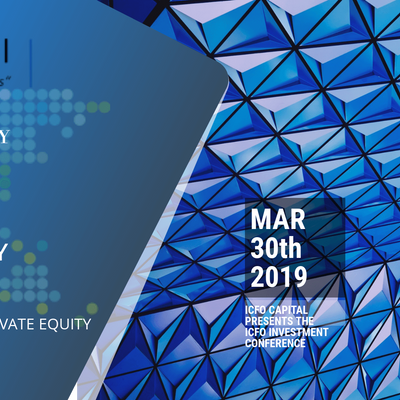 We’ve invited some of Southern California most influential Private Investors, Private Equity Firms, Broker-Dealers, Investment Bankers, Accredited Investors, and other industry professionals. This means great opportunities you won’t find at any other conference this year, whether you’re looking to invest or to secure funding. This meeting is limited to Accredited Investors, Angel Investors, VC and Investment Bankers who are interested in pre-qualified in investment opportunities. The iCFO Investment Conference features a panel of potential "INVESTORS", as they consider offers from aspiring entrepreneurs seeking debt or equity investments for their business. The Investor group evaluates the concept, product, or business model. This process allows potential investors to discuss opinions, voice interests or concerns. If you are interested in attending, please register in a timely manner, as it is anticipated attendee seating will fill up quickly. What people are saying about iCFO Capital? "We are getting some interest and we are expecting to build the base on the interest of the investors...The way they connect us with the investors is by reaching out and telling them about our program and the benefits of our program, it saves us a lot of time and legwork by bringing people to the table, so we can present our program to them. We are very excited about their model". Frank Bashore, SVP 4M&I, LLC. Choosing an Interim CFO can be a smart business decision. Starting with an analysis by our Financial Specialist can gain a quick understanding of your financial condition. Our interim CFO services are designed for companies who are preparing for large scale growth. Many small businesses find themselves in a position where they are in need of the guidance that a quality CFO provides, but cannot currently afford the expensive salary that the position demands. To learn more about our Interim CFO services, please contact Richard Copeland - CPA, email cmNvcGVsYW5kIHwgbXlpY2ZvcyAhIGNvbQ==, or call (619) 819-8268. 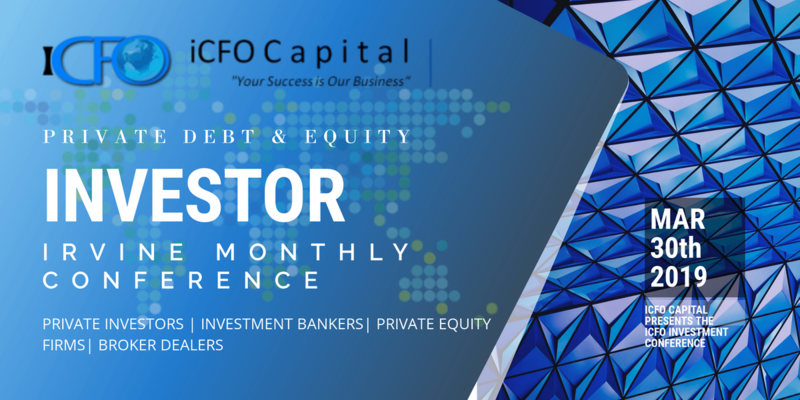 New conference partners and sponsors are working closely with iCFO Capital in 2018 to bring added value to our clients and members. Contact iCFO Capital to be personally introduced to our sponsoring organizations. Breakfast Basket - An assortment of freshly baked breakfast favorites, including Cinnamon Creme Cake, cinnamon rolls, muffins, bagels, sweet crisps, and other pastries. Served with handcrafted cream cheese, butter, and preserves. Fresh Fruit Tray - Slices of cantaloupe, oranges, and pineapple with red grapes, blueberries and strawberries. Hand-Roasted Coffee - Select from our signature Baker's Blend, Sumatra Decaf, rich Cafe Europa and Hazelnut Cream.